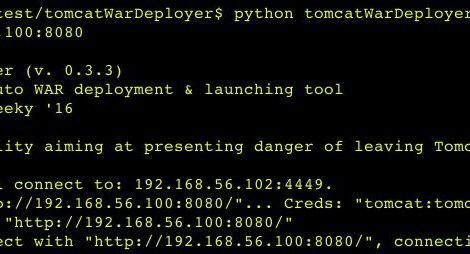 Browse: Home / tomcatWarDeployer v0.3.3 – Apache Tomcat auto WAR deployment & pwning penetration testing tool. 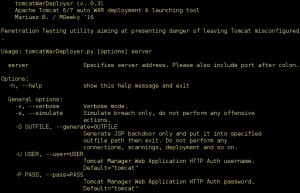 tomcatWarDeployer v0.3.3 – Apache Tomcat auto WAR deployment & pwning penetration testing tool. + Added support for Tomcat 5 interface. 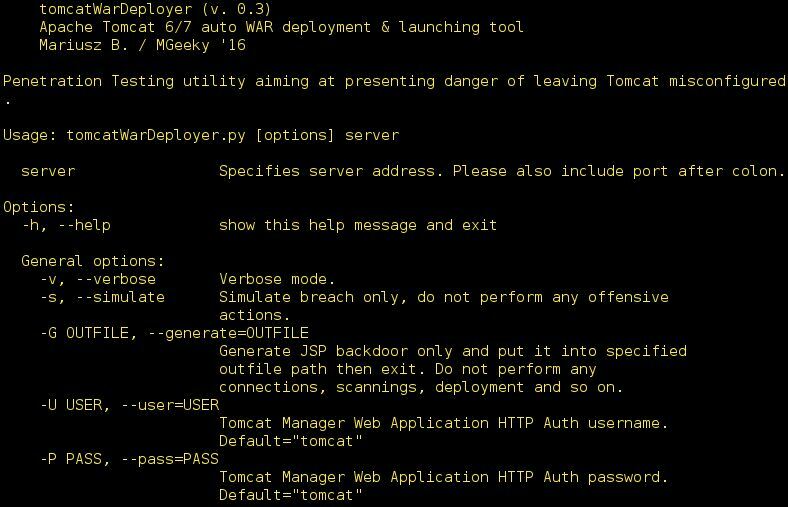 tomcatWarDeployer is an Apache Tomcat auto WAR deployment & pwning penetration testing tool. 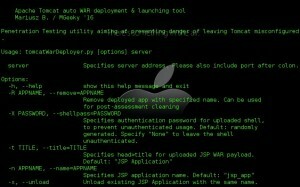 In practice, it generates JSP backdoor WAR package on-the-fly and deploys it at the Apache Tomcat Manager Application, using valid HTTP Authentication credentials that pentester provided (or custom ones, in the end, we all love tomcat:tomcat ). 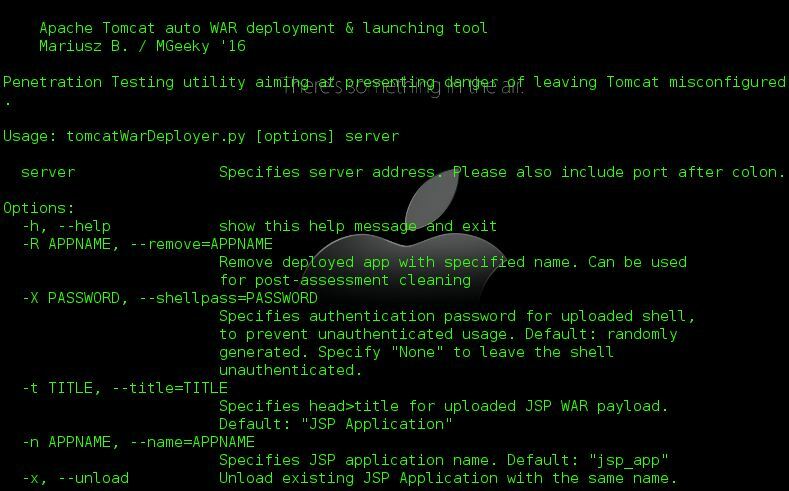 Usage of tomcatWarDeployer for attacking infrastructures without prior mutual consistency can be considered as an illegal activity. It is the final user’s responsibility to obey all applicable local, state and federal laws. Authors assume no liability and are not responsible for any misuse or damage caused by this program. ← looter.py is an automated looting script will collect relevant data for someone who gained root access to a box.